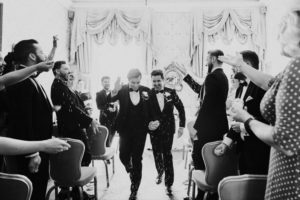 If you’re Canadian or looking to have a destination wedding in Canada, there are plenty of LGBTQ-friendly locations across Canada to celebrate your marriage. 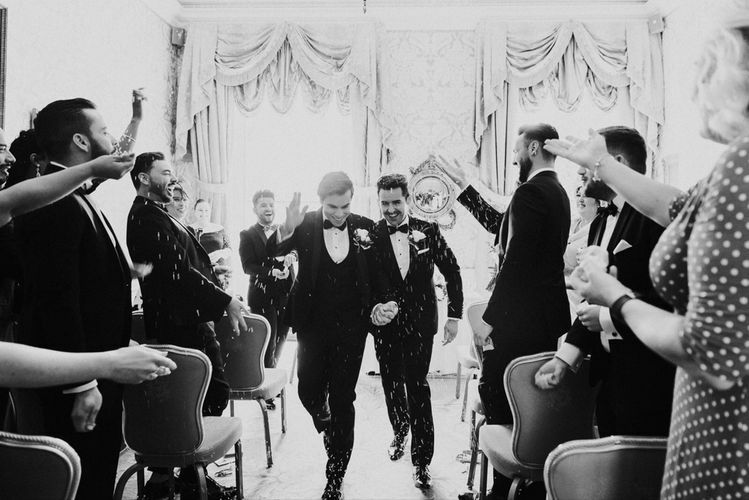 Celebrate and have the most memorable day of your life in one of these 5 LGBTQ-friendly venues! Voted one of the best boutique hotels in Canada. Tie the knot in this charming and beautifully designed resort in the heart of Muskoka. The resort has several accommodations for wedding parties – private chalets, lodge rooms, “glamping” (glamorous camping) tents and a vintage redesigned Airstream! Gorgeous interior details accompany each room. The owners of this delightful hotel are an LGBTQ couple, so you know you will feel welcome and comfortable. Share your precious moment more than 100 other couples during Pride Weekend in Toronto! Every year couples from around the world come to say their vows at the most massive LGBTQ ceremony in North America. If you live in a country that does not support LGBTQ marriages, this is the perfect place to come and declare your love for your partner. Jasper is a picturesque and refreshing place to celebrate your marriage. The Fairmont Jasper Park Lodge has it all – nature, wildlife, luxurious accommodations, delicious dining and breathtaking scenic views. Join Jasper’s large LGBTQ community and tie the knot during their Pride weekend in the middle of April. Discover the romantic, vintage and historical feel of Old Montreal. Choose from numerous old-fashioned hotels and venues to have your wedding. Remarkable photo opportunities on the narrow cobblestone streets, by St. Lawrence River, and the Old Port will make this location the most romantic day of your life! Wedding plans and family demands can be stressful after an engagement. Instead of having to deal with it all – elope in Niagara Falls! Share this special day with the only one you care about on your wedding day. Niagara’s Little Log Chapel is the perfect place for a quick ceremony with LGBTQ-friendly packages.